It is true that much of the wealth of the monastery of San Xusto de Toxosoutos is due to the landscape that surrounds it. 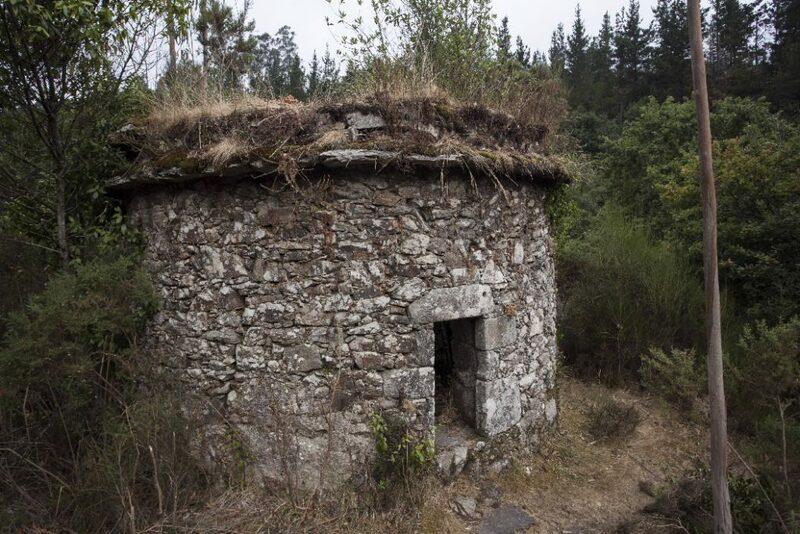 All you have to do is go to the town of Lousame, in the province of A Coruña, to see it for yourself. 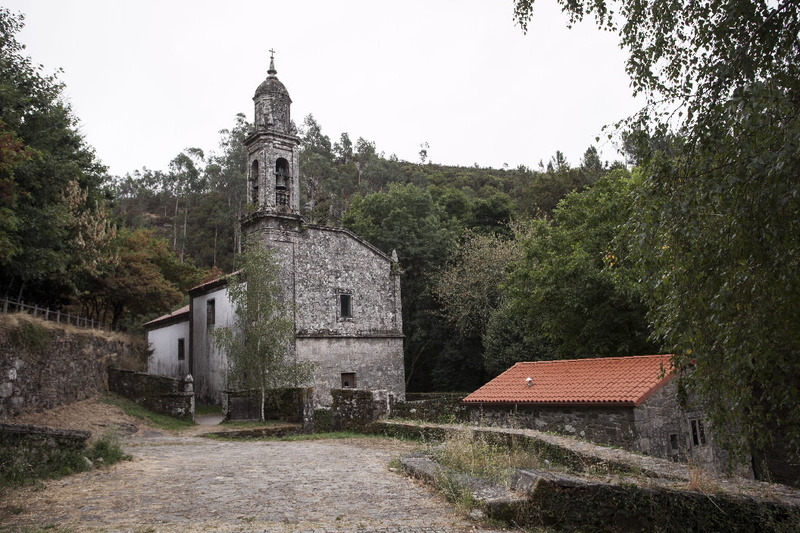 A town integrated in the tourist area Ría de Muros e Noia, with nearly one hundred square kilometers of land that house an endless number of natural treasures and exceptional places little known to the visitor. This is an old monastery, now declared a Site of Cultural Interest, founded in 1131 by the knights Froila Alonso and Pedro Muñiz de Carnota. Today without a religious order, the complex was considered one of the most important Cistercian monasteries in Galicia. Abandoned at the beginning of the last century, little remains of the original building. The Romanesque cloister from the 12th or 13th century, influenced by Compostela, is still preserved. It is rectangular in shape and small in size. Ten by twelve metres, with semicircular arches – some adorned with mouldings – and columns crowned with capitals with vegetal decoration, are enough to keep its history alive. For its part, the current church known as Igrexa Parroquial de San Xusto de Toxosoutos, has an exceptional bell tower that gives even more presence to the whole in general. Without going too far away, following the course of the river San Xusto that bathes the town hall of Lousame, the beauty of this place continues surprising us. In fact, we are in an area where water is very important, given the abundance of rivers and small streams that run throughout the territory. Therefore, following the paths that pass by the banks of the river, very close to the monastery, you can see up to two waterfalls that contribute -more if it fits- to the spell in which the sound of the water immerses us. Around them there are several mills, wooden footbridges and stone fountains perfect to take a rest. 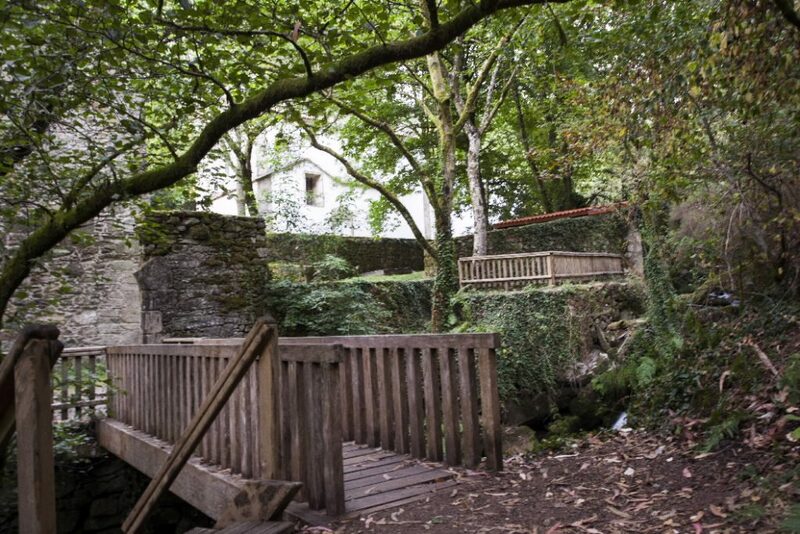 Between the impressive landscape formed by the pools of water, the vegetation and the very shape of the soil we will also reach a medieval bridge decorated by the vegetation that grows around it. However, if there are still doubts about the beauty of this area, climbing up to the summit known as A Muralla is a good end to finish off this exciting walk. At 700 metres above sea level, we can distinguish bordering municipalities such as Rois and Dodro, the valley of the river Ulla from Padrón to its mouth, the entire Arousa estuary, a good part of that of Muros and Noia and, of course, a surprising panoramic view of Lousame.